We introduce regular walking tours that run on specific days at 3 p.m.
Hop-on Hop-off Boat Tours will be available again starting May 2019. 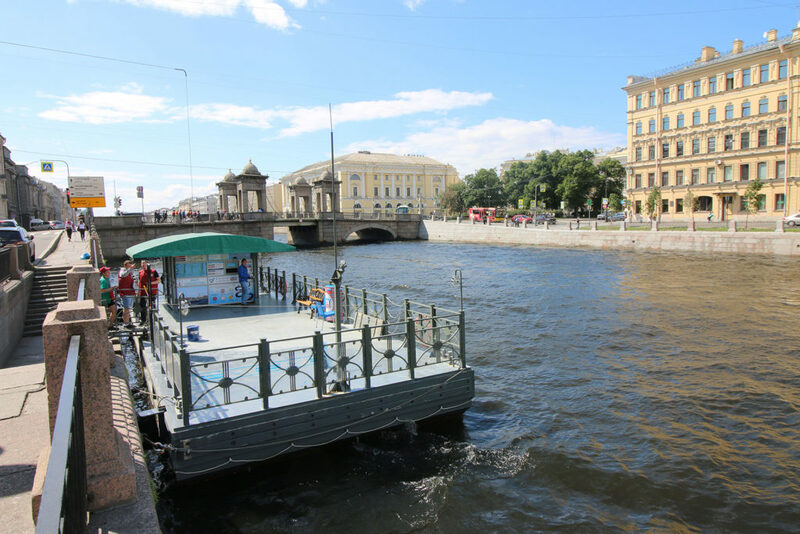 This year our hop-on hop-off canal and river cruises leave from three different piers, all in the heart of St. Petersburg. Tickets can be purchased from ticket booths at any of the piers (marked as P1, P2 and P3 on the map) and are valid until the end of the day. You can hop on and hop off the boat at any of the three stops. Please, note that this service doesn’t apply to the night river cruise. This year our hop-on hop-off canal and river cruises leave from three different piers, all in the heart of St. Petersburg. Tickets can be purchased from ticket booths at any of the piers (marked as P1, P2 and P3 on the map below ) and are valid until the end of the day. You can hop on and hop off the boat at any of the three stops. Please, note that this service doesn’t apply to the night river cruise. 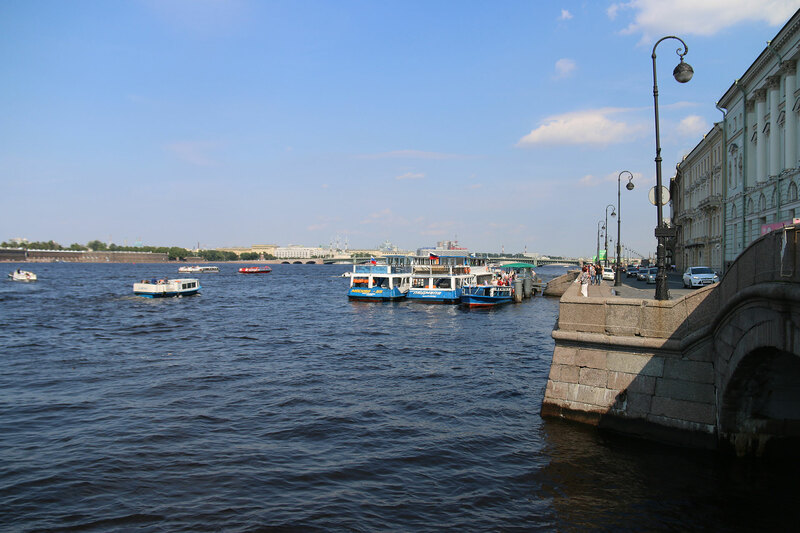 Our day and evening tours follow the same route to five different canals and rivers – the Fontanka, Kryukov canal, Moyka, Winter canal and, finally, the Neva. Sites along the route include Anichkov palace, Trinity church, St. Nicolas’ cathedral, Yusupoff palace, St.Isaac’s cathedral, the Hermitage, Winter palace, St. Peter and Paul’s fortress, Church on Spillt Blood, the Summer Garden, St. Michael’s castle and nearly fifty bridges along the way! The usual route can be changed due to weather conditions, traffic, road works, bridge repairs, public events etc. In this case the boat will follow the alternative route that is marked with dashed red line on the map below. 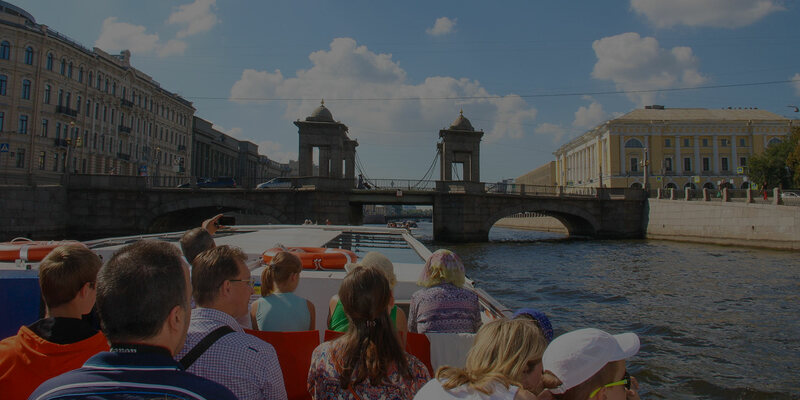 The 0.20 tour takes a bit different path and is designed as the best opportunity to find out all about St. Petersburg's famous White Nights Festival. Enjoy the cool breeze from the Gulf of Finland, salute to a raised bridge on the Neva and join the improvised race of dozens of water bikes, yachts and motor boats along the Neva! Please, note the 0.20 tour is not a hop-on hop-off tour and does not make any stops en route. 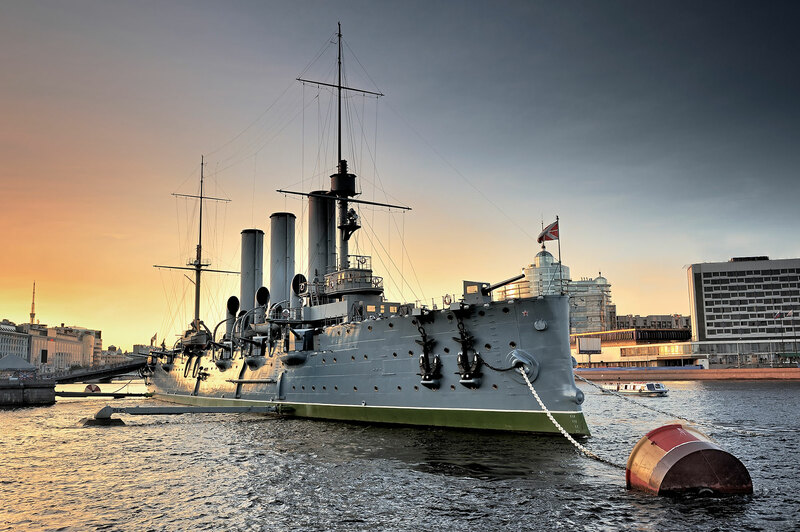 Please be informed that due to the Navy Day rehearsals and celebrations on July 22, 26 and 29, two of our first tours, 11.00 and 12.30 will be canceled, since the Neva will be closed for traffic. On these days the first boat tour will start at 14.00 and run as usual. We apologize for the inconvenience! This is just to remind you that starting from today there will be two more cruises available every day: ⛴ 21.30 – hop-on/hop-off ⛴ 00. 20 – night bout tour Please note, that the night one isn’t a hop-on/ hop-off tour and doesn’t make any stops en route. You can get tickets right on the spot before a tour or buy them online with 15% discount! 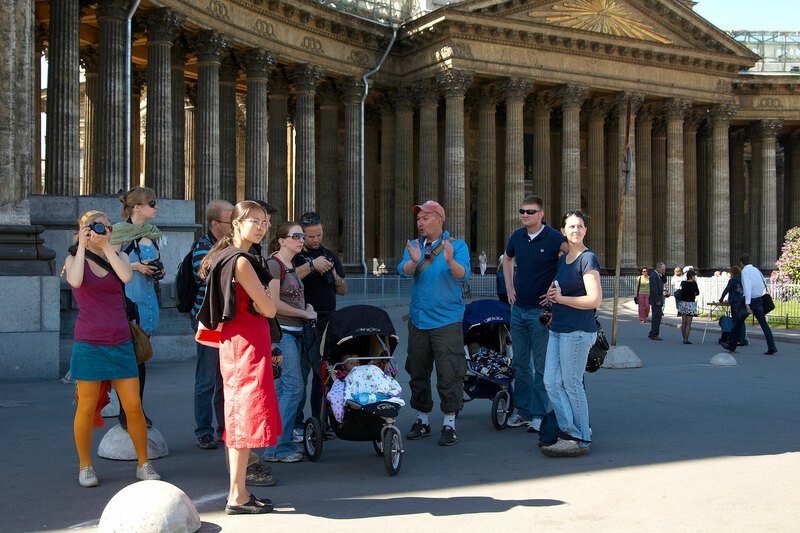 This is to remind you that our Free Daily Walking Tours have already started. We invite anyone who want to familiarize themselves with most important sites and attractions in the historical centre, build up itineraries for further independent walks. We will also be happy to offer a local’s insight into the numerous practical issues first timers have to deal with in a new city. 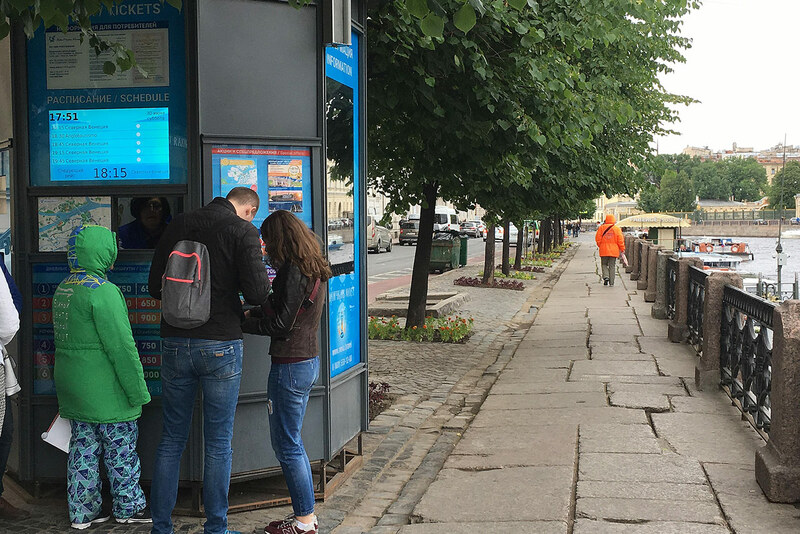 Simultaneously buying tickets to one of our hop-on hop-off tours and to a speed boat to Peterhof, you automatically get 20% out of the regular speed boat price. 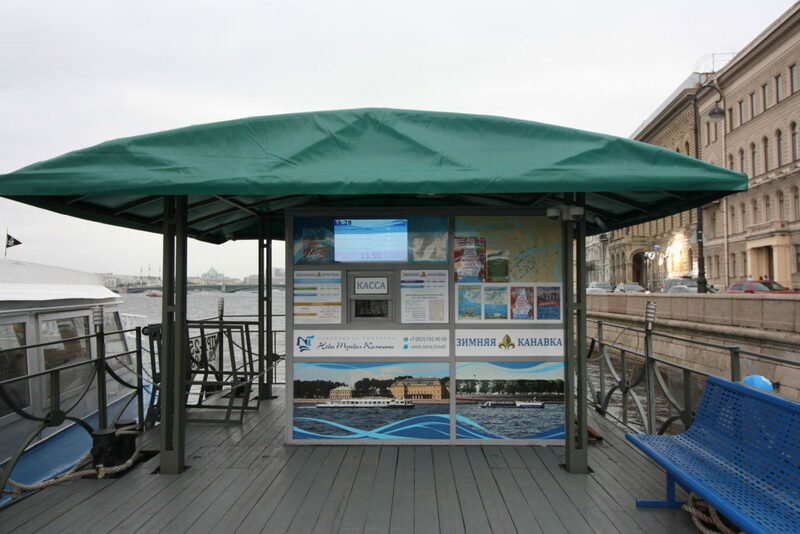 And even more: in this very case our hop-on hop-off ride will be just a perfect way to commute between Nevsky prospect ( our piers P1 and P2) and the speed boat pier (a mere minute walk from our pier P3). Done with Peterhof and anxious to see Nevsky prospekt again? Save your time and learn a bit more about St Pete’s history, culture and everyday life hopping on an Anglotourismo boat at the nearest pier P3. LEGEND: P1, P2 and P3 – hop-on hop-off piers. You can embark / debark / buy tickets at any of them. For locations see the list below. DISCLAIMER: Routes can be changed due to weather conditions, traffic, road works, bridge repairs, public events etc. In such cases the tours take the route marked with red dotted line on the map. Please, note that due to the Scarlet Sails School Graduates’ Festival several changes of schedule and route of our cruises will occur. On schedule. Route change: canals only. 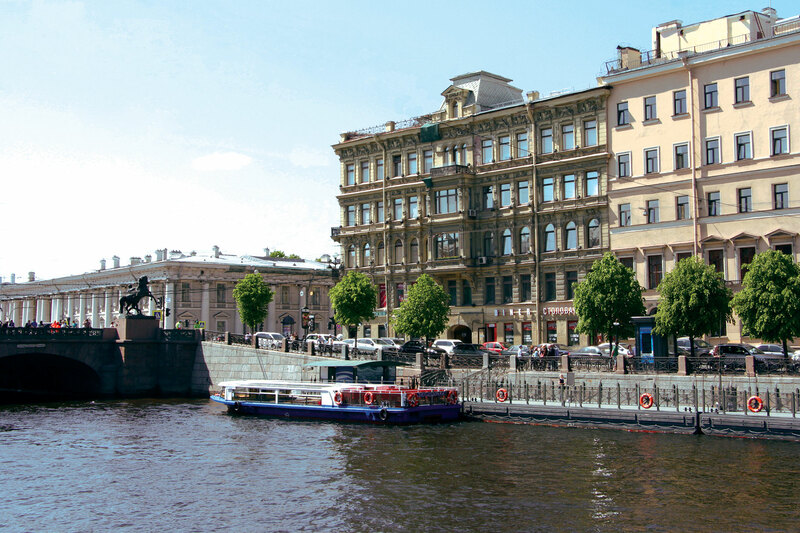 Our hop-on hop-off canal and river cruises leave from three different piers, all in the heart of St. Petersburg. Tickets can be purchased from ticket booths at any of the piers (see map for precise locations marked as P1, P2 and P3) and are valid until the end of the day. You can hop on and hop off the boat at any of the three stops. Tickets are available in ticket booths at any of the piers (P1, P2 and P3) and are valid until the end of the day. You can hop on and hop off the boat at any of the three stops. We recommend showing up 15-20 minutes before the tour starts – more chances to get the best seats! 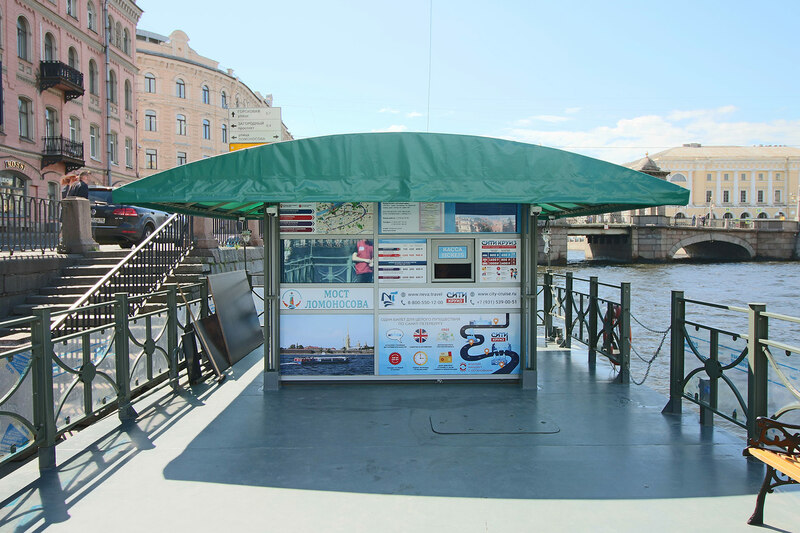 Or if you want to be completely sure you get on a certain boat, buy tickets earlier on the same day, the ticket booths open at 10 a.m.
You can also buy tickets online on our partner’s site. Click the button, then scroll down to the bottom of the page to select desired date and proceed to purchase tickets. 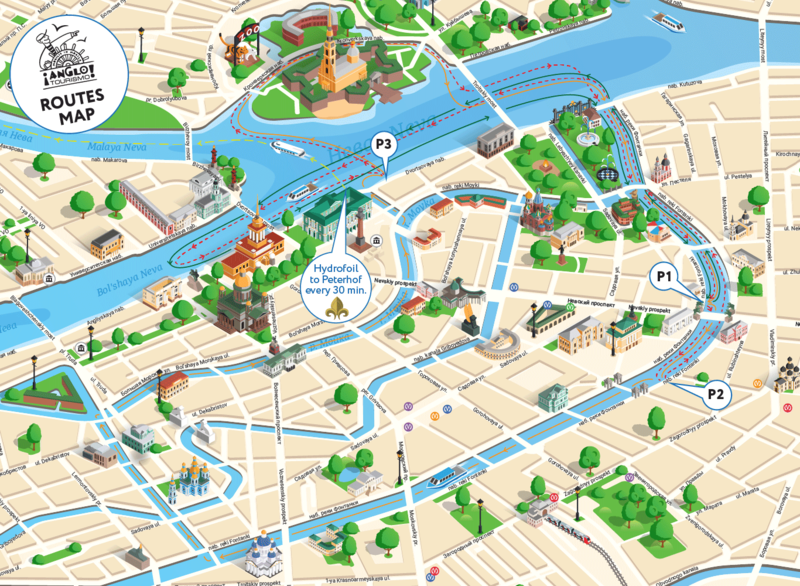 Want to have route map, time-table and other info with you while walking around St Pete?